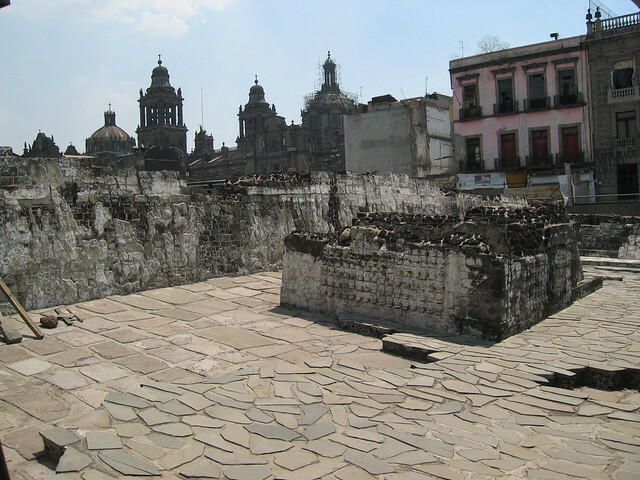 The main plaza of Mexico City is commonly known as the Zócalo ">), meaning plinth. 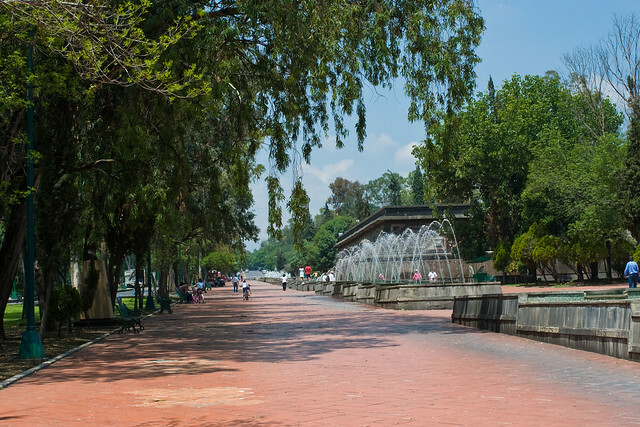 It was the main ceremonial center in the Aztec city of Tenochtitlan and from the colonial period on, the main plaza or square in the heart of the historic center of Mexico City. The plaza used to be known simply as the "Main Square" or "Arms Square," and today its formal name is Plaza de la Constitución . This name does not come from any of the Mexican constitutions that have governed the country but rather from the Cádiz Constitution which was signed in Spain in 1812. However, it is almost always called the Zócalo today. Plans were made to erect a column as a monument to Independence, but only the base, or zócalo, was ever built. The plinth was destroyed long ago but the name has lived on. Many other Mexican towns and cities, such as Oaxaca and Guadalajara, have adopted the word zócalo to refer to their main plazas, but not all.